If you are planning on having a wedding in New Jersey, you have an amazing amount of unique wedding venue options to pick from. 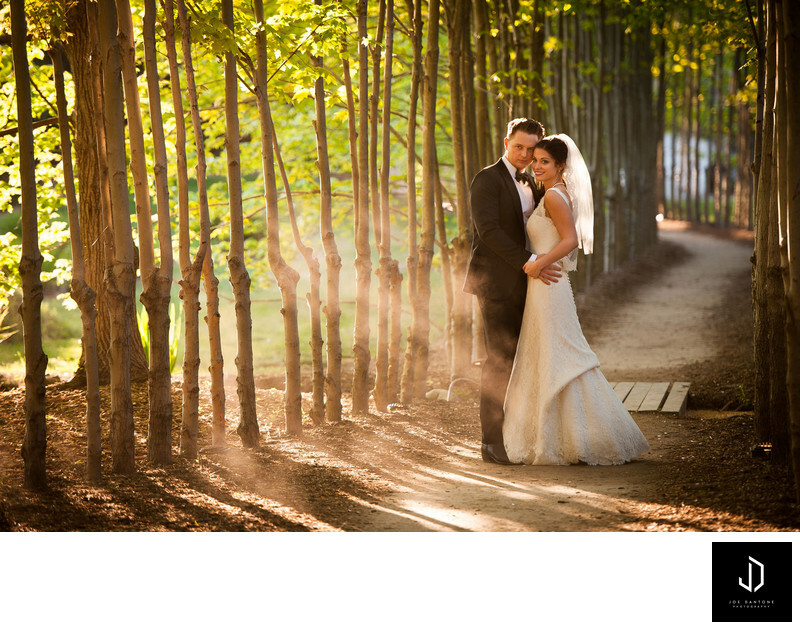 From Ballrooms, to Country Clubs, and from, gardens to wineries and ballrooms. There is something in Jersey for everyone! Some of my favorites are below! Talk about a unique venue and a New Jersey wedding venue with character, you should most certainly look into Grounds for Sculpture for your wedding. The restaurant, Rats, is a beautiful setting for your sit down dinner with views of the sculpture grounds and a really nice pond that gets covered in fog. If you aren't into a rustic setting, they also have a raw space in their art gallery that is set inside the sculpture gardens. The Liberty House is set just inside Liberty State Park in Jersey City. The venue features two ballrooms. No matter where you are inside the Liberty House Restaurant, you will always have a breathtaking view of the Manhattan skyline. Landscaped with pristine gardens and a large patio, there are some other unique venue features like the modern fire pits and cozy outdoor lounge areas. Crystal Plaza is owned by the now Crystal Plaza Group which also owns over a dozen other wedding venues from New York to New Jersey. Crystal Plaza has beautiful gardens in the back, which is a perfect setting for a ceremony. Once inside, the venue opens into a sprawling but elegant ballroom with massive windows. Hands down, one of the most stunning venues in Central New Jersey. Located in Princeton New Jersey, Jasna Polana is the home of a nationally recognized golf course. Aside from the golf course, when you drive through the thick woods you finally arrive at the massive estate property. The bridal suite is larger than most houses, and its pretty tough to take your eyes off of the 18 person marble jacuzzi recessed into the marble floor of the bathroom. The grounds around the property are perfectly manicured with features like wrought iron fences, and a reflection lake. The reception takes places inside what was the old pool house, but since has been filled in and now is a stunning ballroom with 360 degree windows over looking the lake and 18th hole of the golf course. 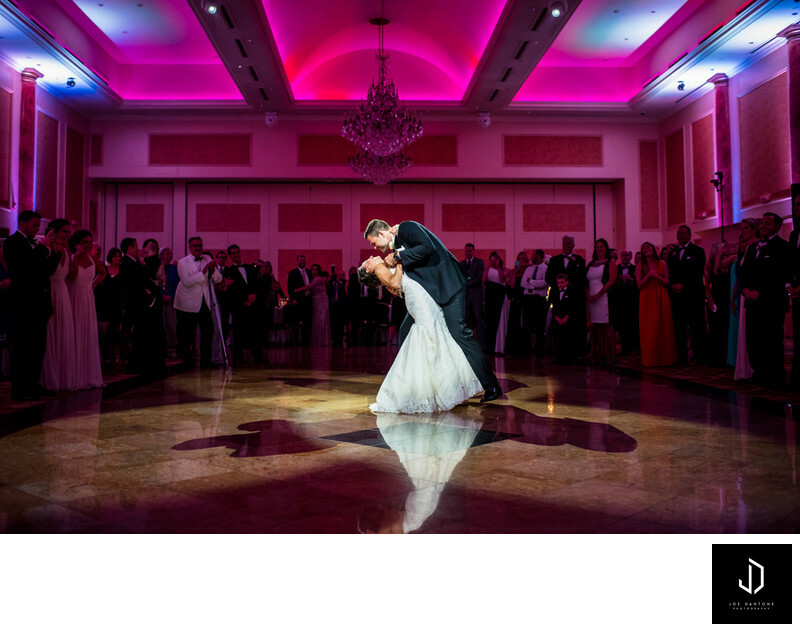 The Merion in Cinnaminson, New Jersey has multiple large beautiful ballrooms inside. They are all Joined by a massive marble grand hallway connecting their memorable Skylight ballroom by a sprawling spiral staircase. The merion has many memorable features. 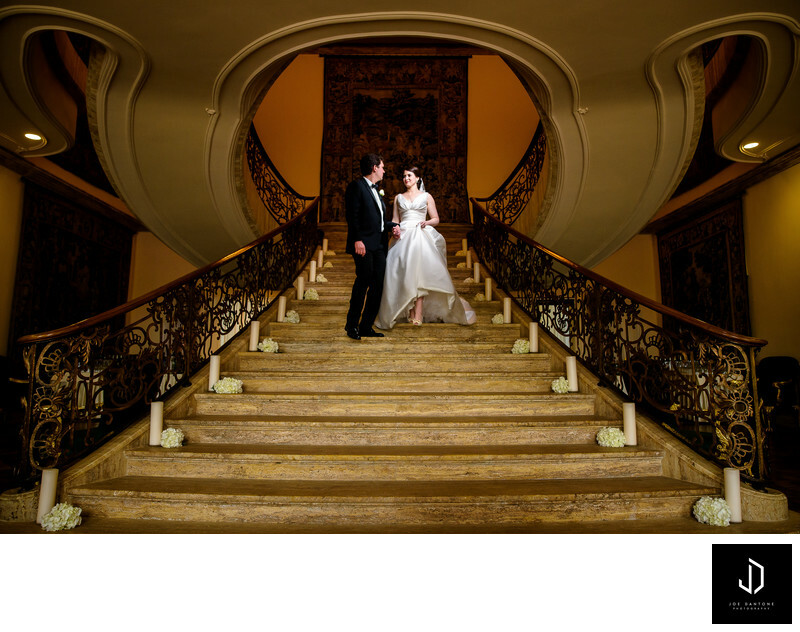 Their Grand Hallway made of marble pillars and tile. Their newly designed outdoor garden area. The skylight ballroom with a massive glass dome as a ceiling. The huge sprawling staircase and the relaxing heated outdoor areas throughout. The Palace at Somerset Park is a venue that has so much space, that if you are having a wedding, you would never know that there could be a 300 person wedding on the other side. They planned the design of this venue for over a decade and made it possible for both wedding receptions to have their own parking lots, gardens, lounge areas, ballrooms, bridal suits, bathrooms, ceremony sites etc, and you would never see a single person from the other wedding. INSANE! The venue itself is absolutely stunning with grand lobby's opening into massive ballrooms of elegance. When I first arrived at this venue I was blown away by the scenery. From the tented ballroom, you always have a view of the beautiful lake that cuts across the property. Not to mention you can have your ceremony directly on their landscaped patio directly next to the lake. The great part about this venue is that it provides some amazing locations for portraits. You can grab a golf cart and cruise around the property to open fields, a beautiful forest, a walking bridge, the list goes on.